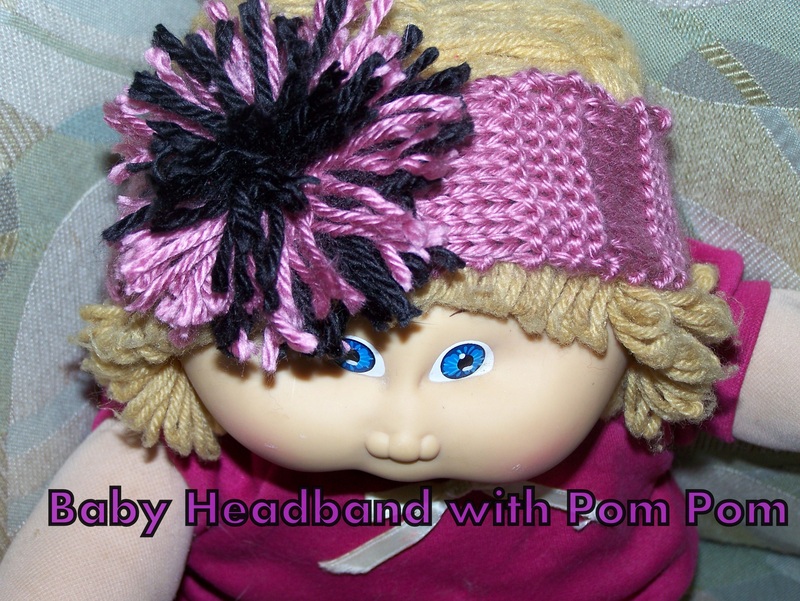 This is really just a larger version of the other baby headband that I posted with a pom-pom on top instead of flowers. This is worked with Caron Simply Soft Acrylic Yarn on size 5 needles. Continue this pattern for about 12 inches (Newborn) 13 inches (0-6 months) 14 inches (6-12 months) 15 inches for (12-18 months), and 16 inches (18-24 months). Bind off. Seam together. Take 2 different colors yarn and create a pom pom. Cut two circles from cardboard. Hold together. 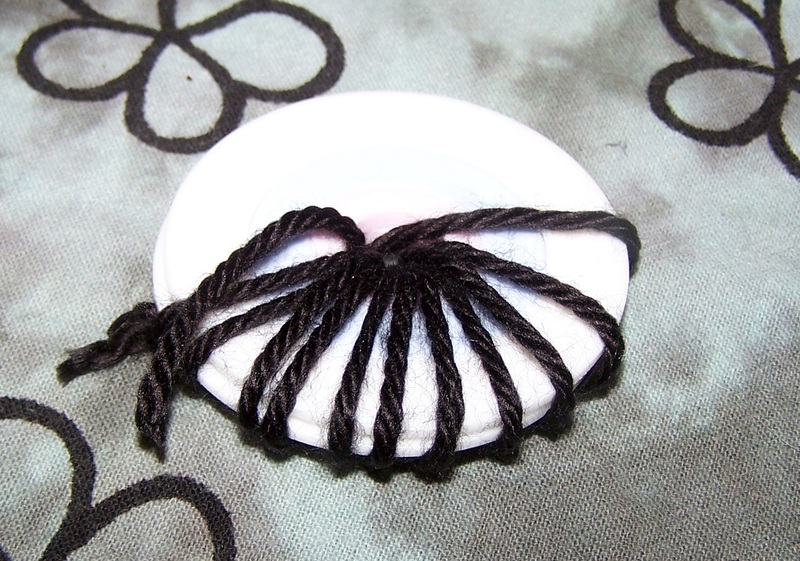 Wrap yarn around (inside and outside of ring). Then cut inbetween the two pieces of cardboard. 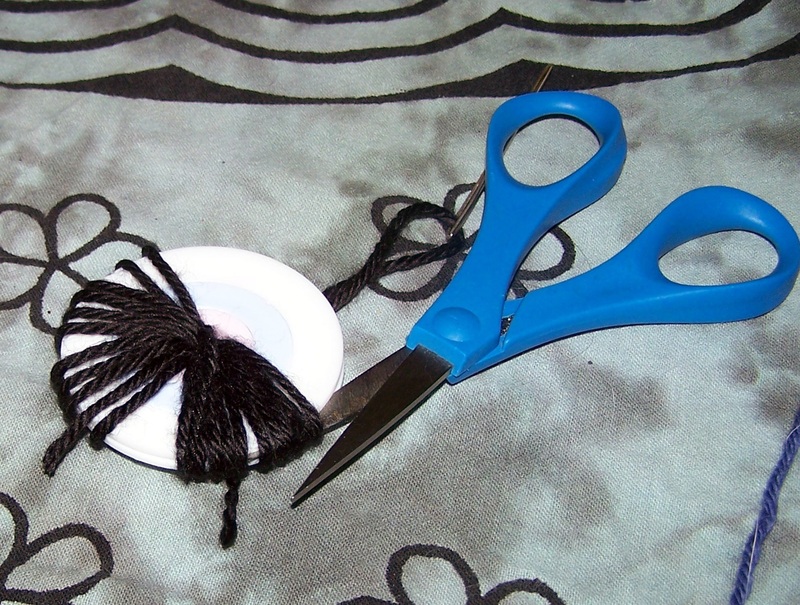 Tie around center, securing the small pieces of yarn together. Attach to headband.